Does a Reliable Auto Backlink Disavow Service Exist? If you’re here, it’s likely that you already understand the need to audit your backlinks and disavow the bad ones. It’s also likely that you’ve gone through to do it, and you’ve reached the reasonable conclusion that it’s a lot of work. For a large enough site, it might even be akin to a full time job. It’s no wonder that we marketers, always looking for ways to automate processes, want to automate this as well. 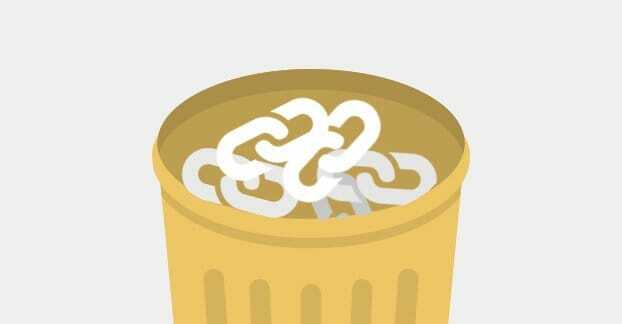 There are basically three ways to handle disavowing bad links in your backlink profile. One of them is to do it yourself, one of them is to hire someone to do it manually for you, and one is to use an automation service. 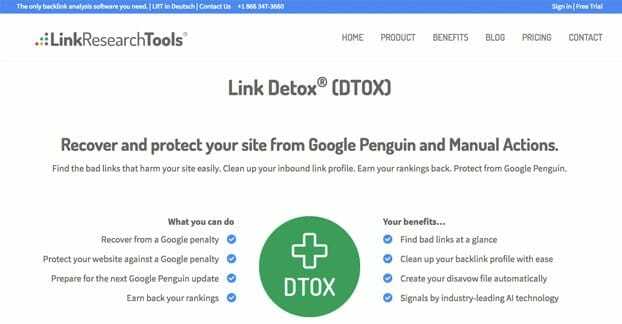 The premier link analysis and disavowal tool out there is Link Detox, by Link Research Tools. Their basic tool allows you to audit up to three unique domains and will audit up to 60,000 links, scanned from their network of link crawl indexes. It also comes with a bunch of additional features. They can prioritize express removal, give you link alerts, give you access to their link opportunities engine, link you up with Link Genesis, give you a history of disavows, and a bunch more. You can read all about it on their product page. The kicker here is that they have their drawbacks. For one thing, even though they have 25 “link sources”, you have no way of knowing how large those indexes are. You could have plenty of links that their data sources don’t see. Secondly, they’re expensive. It’s $300 a month for the most basic level of service. If you have an old domain with more than their 60,000 link limit, you would need to bump up to a higher plan, and the next cheapest option available is $650 per month. That’s incredibly expensive if all you’re trying to do is audit your backlinks and generate a disavow file. And, of course, Google doesn’t really let anyone just upload a disavow file on behalf of someone else. Link Detox will audit your links and will generate a disavow file for you, but you need to actually manually submit it. Bearing in mind that link auditing is an ongoing process, you’re in for the long haul with this subscription and you still have to take action manually for any of it to actually work. Link Detox includes DTOXTUNE, which is their learning algorithm you can tune to match your site link preferences. They start with a baseline of what is and isn’t a valid link for a given type of site, but any algorithm is going to be flawed. Some links will look good but are actually spam. Some links look bad but are harmless or okay to have. When using any automation tool, you need to audit the audit and make sure you aren’t getting rid of good links. Links are difficult enough to get. You don’t want to waste the effort you spent getting them by disavowing them even when they’re perfectly serviceable links. Even with tuning, it’s still an algorithm, and you still have to go over the disavow file they produce and make sure everything is kosher. Now, this isn’t necessarily super hard to do. The first time you run something like Link Detox and get the disavow file, you can go through it with a fine toothed comb. Make sure everything on it is something you want on it, and remove anything that you don’t want disavowed. Then, most crucially, save a copy of that disavow file somewhere with a date attached. 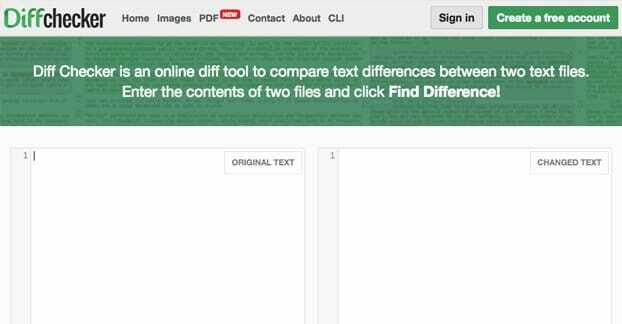 Then, next time you want to upload a new detox disavow file, run the new file and the old file through something like DiffChecker. This will show you what has been added or removed since your last version, which makes checking the new file that much faster. Of course, this is still all manual work for disavowing links, so you’re not necessarily saving much time. You also can’t be sure that the automated process is catching all of the bad links coming into your site that Google sees. 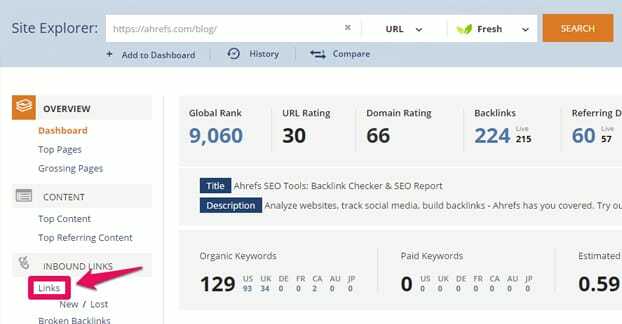 You will generally want to pull your backlink profile manually from other services like Ahrefs, Majestic, or OSE. So how much are you really getting for your $300 or more per month investment? You get a lot of fancy tools, and even more if you actually go to Link Research Tools and get their plans instead. I won’t deny that those tools are very nice for what they do, but they aren’t ideal for the small business that wants to audit their links automatically and be done with it. It should be noted here that I’m not trashing Link Detox. I’m just using them as a representative example of most similar tools. The alternative kind of tool is something like rmoov. Rmoov is free for smaller sites, but it requires that you pull your link profile from another service, and it only checks so many links at a time. So you need to pay for a service that pulls your link profile, you need to potentially pay for rmoov to do the auditing based on their algorithms, and even then you’re still just handed a disavow file you need to submit yourself manually. 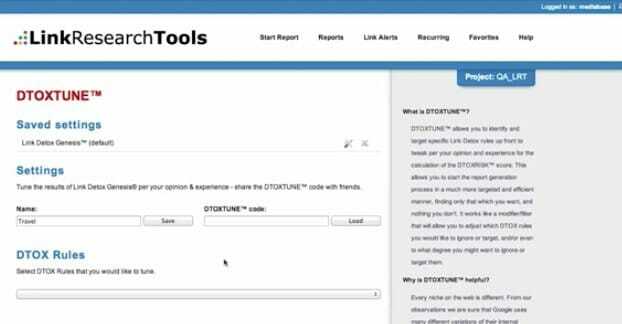 Any tool you want to use to automatically scan your links, no matter how sophisticated the tool is, will not have a 100% accuracy rate. Some links will slip in that shouldn’t be, and some will slip out that should. You always have to take care to audit the audit. The second method for auditing your links in an “automatic” way, to save yourself time, is to hire someone else to do it. 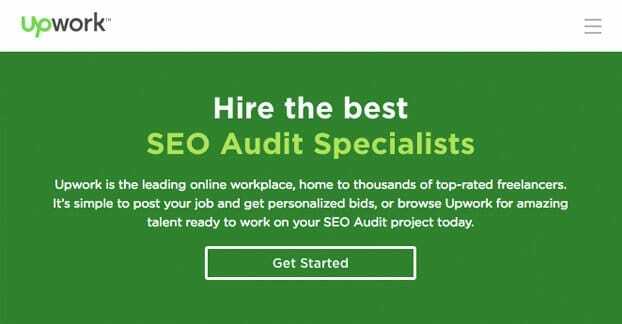 Sites like Upwork have SEO specialists who will be willing to work with you to audit the links on your site. One benefit of this method is that you know you’re getting the human touch right out the gate. These people (probably) have experience with link building and auditing, and know enough about SEO to know whether a link is relevant or not. They can build a list of confirmed bad links and a list of links they would like you to go over to help make determinations. Of course, depending on the size of your site, a link audit with a comprehensive analysis could take hours upon hours. Smaller sites might only spend four or five hours on a deep analysis, while sites with tens or hundreds of thousands of links could stretch into extremely lengthy jobs. This is a good thing for freelancers, but a bad thing for site owners. Click that Upwork link again and check out the rates these people charge. You can see anything from $25 per hour to $100 per hour, probably more if you find someone truly experienced and are willing to pay a higher rate. Once again, you reach the age-old dilemma: which would you rather spend, your money or your time? You can do the audit yourself, or you can hire someone to do it. They might do it faster and more effectively than you, but you’ll be paying for it out of your pocketbook. Or you can just do it yourself, slowly and learning as you go, but it won’t cost you more than the price of your electricity and internet bills, and maybe some other tools to make life easier. If you’re like me, you have probably realized that it’s generally better to spend money on things you can’t do yourself. I can do a link audit, whereas I might not be fluent enough in accounting and want to hire an accountant with that money instead. If that’s the case, I’ll go ahead and give you the cliff notes rundown on a good link audit. Step 1: Pull your backlink profile. You can do this pretty easily with a bunch of different services. My favorites are the Moz Open Site Explorer and SEO Spyglass. Ahrefs and Majestic also work. You can also pull links using Google Analytics and the Google Search Console for your site. Generally, you want to pull links from as many large, comprehensive sources as possible. No one indexes the web at nearly the level Google does, and Google isn’t sharing all of its information at once, so you have to make do with smaller indexes in aggregate. Step 2: Sanitize the data. Paste all of your data into Excel and then sort it, then run it through a dedupe script. There are dozens of ways to do this, from Github-based scripts to sites specializing in data massaging. Since you’re getting your data from a bunch of different sources, there will be a lot of overlap. Removing duplicates will make your life a lot easier. Step 3: Remove links that no longer exist. You can run your data through a tool like Screaming Frog and check every link for its server status code. If the return is a redirect, you can investigate the new link. If it’s a 404 or a 500-based error, it indicates the page no longer exists. If the page is gone, the link is gone, and you can remove it from your list. Step 4: Harvest more useful data. Once you have the link list pruned down to just links you know exist, you can start to audit them. URL Profiler is a great tool for this, though you will need API keys with services like Majestic, Moz, Ahrefs, Alexa, and a few other sites if you want to make full use of it. Once you have it set up with your keys, you should import your list of links from file. Then you can select the information you think will be relevant to the links and your auditing. Check boxes for important services like Majestic and Moz, and for metrics you might want, like site type, IP address, HTTP status to double-check from the previous step (or if you skipped the previous step) and social shares. Click to run the thing and then let your computer work. It will take a while to harvest all of this data for all of your links, and the more links you have, the longer it will take. Step 5: Analyze the links. You’ll have a ton of data to sort through to use for judging the links. You’ll want to hide some columns of data in the resulting spreadsheet, but some will be useful. Look at the PA and DA for the sites, ranks like Majestic’s flow ranks, and so forth. If the link is nofollowed, it’s up to you if you want to ignore it. It shouldn’t be hurting you even if it’s a bad link, but it might be worth disavowing if it’s a spam link anyways. Sort by anchor text and look for overused anchors or sketchy, unrelated anchor text. A lot of spam sites will just link to random sites with random keywords, and those links won’t seem to have anything in common with yours at all. Add them to your disavow list. Check to see if any of your linking domains are all on the same IP. If you have a dozen different sites linking to you, but they’re all on the same IP, it could all be the same PBN or shady link network. You can bet Google frowns on links like that, so it can be good to remove them. Most bad links will be obviously bad, and good links will be obviously good. In time, you’ll refine your ability to ID them at a glance. Keep the warning signs in mind and finish up your audit. Once your URL list is finished, you can upload it to the disavow tool straight away.